Madang authorities have raised concerns that there is a lack of condoms in the province. With the elections just around the corner, the increase in sexual activity is said peak. The fact is that the province’s supplies of condoms are almost depleted; the province is now down to its last two cartons. 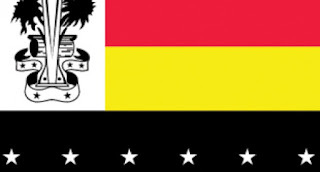 Madang’s HIV/AIDS response coordinator, Conrad Wadunah said the province will need supplies from Port Moresby. The National AIDS Council had last week stated that its supplies were locked away at the area medical store and that it needed to fork out K120,000 in storage fees for these to be released. “We only have two cartons of condoms (4032 pieces) which we expect will run out at least by next month. Like the last elections we will require at least 10 cartons. These will be distributed at strategic sites including campaign houses in all six districts,” said Wadunah. However, the provincial health director Marcus Kachau when contacted said he expects the same strategies applied during the 2012 National Election would be applied in terms of the HIV/AIDS awareness programs this year.